I was about to post some comments at an LDS blog, but had second thoughts, realizing that my comments would be poorly received there. How much better to share these thoughts and fond memories on my own blog. I remember how entranced I was as a college freshman to discover the LDS Instutute library, a little closet stuffed with books and magazines from wall to wall and top to bottom. I spent many days there reading the big collection of Dialogue, and devouring Journal of Discourses. 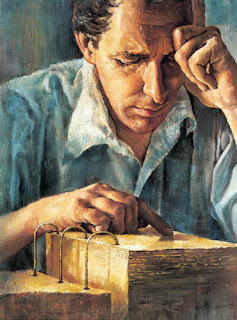 I read and revisited Teachings of the Prophet Joseph Smith. I fell in love with the Autobiography of Parley P. Pratt, and the writings of John Taylor. I lived vicariously in the fiery sermons of Brigham Young and Heber C. Kimball. Though I flunked all my college courses, it was a great preparatory regimen for my mission. I also discovered the core of authoritative LDS writers, building on the tradition of Talmage and Widtsoe. Hugh Nibley and Truman Madsen were my modern-day heroes. And I learned great respect for the Doctrines of Salvation-Gospel Questions-Origin and Destiny-Mormon Doctrine that added upon the bulwark and legacy of restoration scholarship. I wish I could go back to those times. Things were so much better then.